In 1989, Charter and I embarked on what would become an annual road trip. Somewhere in North America. In a Corvette. This unlikely odyssey began in, of all places, Reims, France when, on the way home from a trip to Paris financed by our year of not smoking, we happened upon a quirky car museum housed in a Quonset hut just outside of the city center. 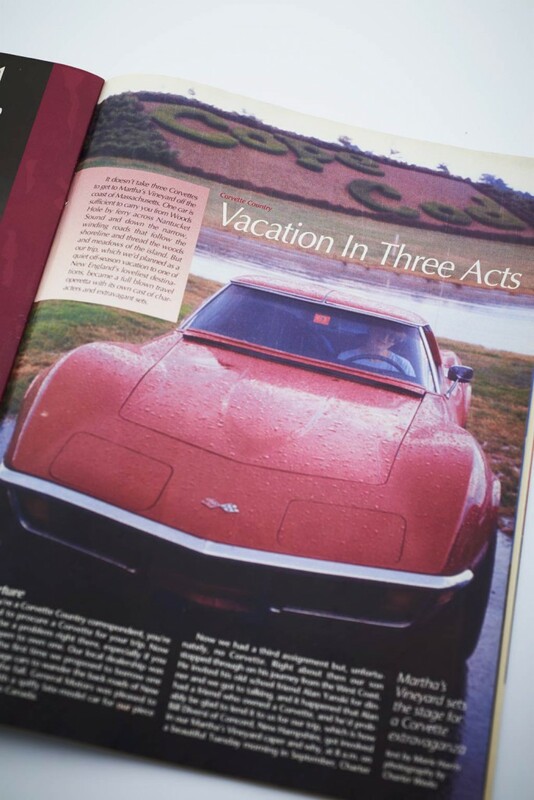 What immediately struck us, and what led to investigations which in turn led us to Corvette Fever Magazine, was the car featured just inside the entrance. 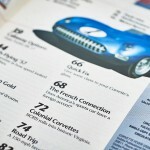 It was a 1953 Corvette flanked by a small sign reading: Creation Philippe Charbonneaux. Extraordinary! 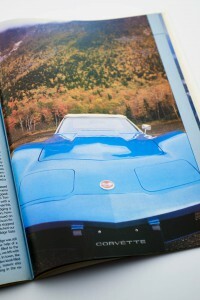 Here was a French designer claiming to have “created” this quintessentially American sports car! In the weeks following our return, I spent hours on the telephone talking to General Motors trying to get to the heart of this intriguing puzzle. I was able to speak to a number of people including the GM Design Staff vice president who in turn consulted the staff librarian (how quaint!) without the firewall of “If you know your party’s extension…” And even without Google, I was able to track down and talk to Charbonneaux himself who mailed me copies of his sketches and an interview with the French magazine Retroviseur. 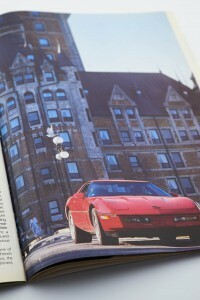 Armed with this information, I searched for a publication that might have an interest in the story and eventually “met” Paul Zazarine, editor of Corvette Fever. 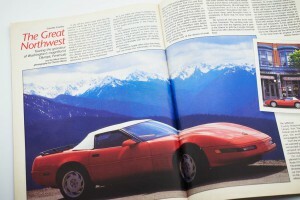 And so began our adventures driving Corvettes–old and new, lent by dealerships, borrowed from friends and one stranger–around the Northeast and Canada and west into the Olympic Peninsula.